11104 W Cook Rd, Fort Wayne, Indiana. Photo courtesy of Ashley Thorpe and Nick Karn. Sears Modern Home No. 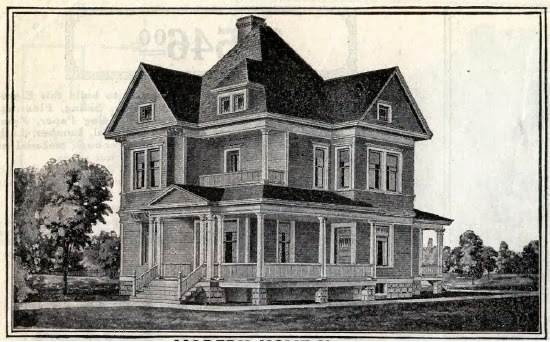 118 (later known as the Clyde) from the 1914 catalog. Yes, I realize this Sears house is not in the Chicago area, but the old photos were too good not to publish. This Modern Home No. 118 is an authenticated Sears house. The current homeowners found the original shipping label. Felix F. Ladig likely built this house in 1914 or 1915. (In 1915 the property tax amount jumped dramatically.) 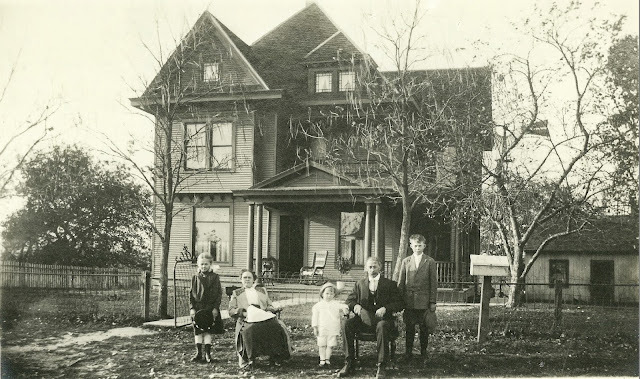 Felix lived in the house with his wife Frances and their four children. The catalog text reads: "One is immediately impressed on approaching this house by its quiet dignity and air of comfort. The large, roomy porch seems to invite one to its cool shade." The Ladigs in 1916. Left to right: Mildred, Frances, Milo, Felix, and Cletus. Frances was pregnant with little Homer. Photo courtesy of Ashley Thorpe and Nick Karn. The Ladigs in 1916 with their two big purchases. Does anyone know what model car this is? Photo courtesy of Ashley Thorpe and Nick Karn. An undated photo, no sign of the car. Is that Milo in the background? Photo courtesy of Ashley Thorpe and Nick Karn. 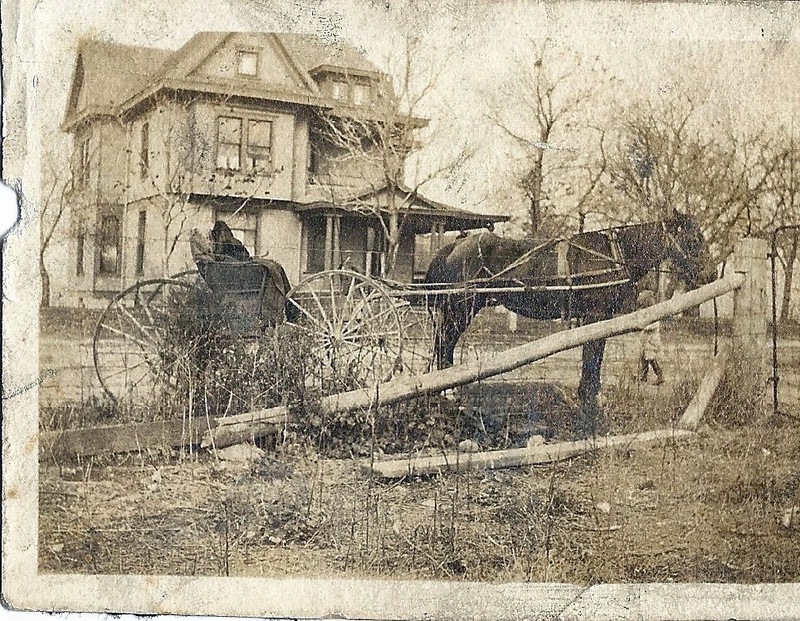 The house materials were delivered by train to Arcola, Indiana and carried to the farm on wagons. The Ladigs grew onions and peppermint on the farm. The Ladigs did not live in the house very long. In November 1919, Felix ran an advertisement in the Fort Wayne News and Sentinel that he was leaving the farm and selling his livestock and equipment. 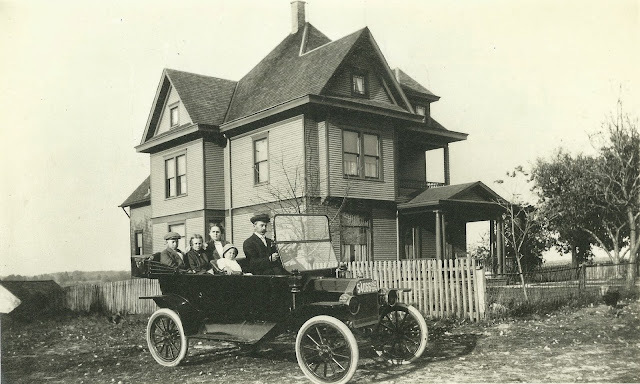 The 1920 census shows the Ladigs in the Sears house; by 1922 they had moved to another house in Fort Wayne. Thanks, Brett. That car must have been a nice chunk of change back in 1916.